Dirt, bugs, hot, cold…there are plenty of reasons to keep my inside the comforts of home. But soooooo many good reasons to get outside. Research shows that even just 15 minutes a day of being outside is good for our brains and well-being. For children, the research is even more clear. 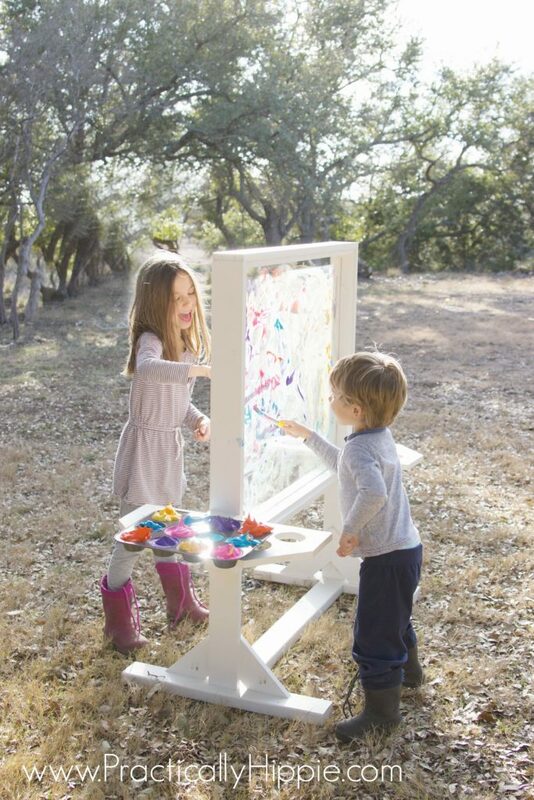 Getting outside and plenty of free, unstructured play is essential for healthy brains and healthy bodies. But getting outside is not always a simple task. Our live are complicated and busy. There’s always so much to do. And let’s be honest, the dishes can’t wait or people won’t eat. Top off the to-do list with the fact that so many of us live in urban settings or suburban developments where “nature” is often an afterthought and not all that exciting. Whatever the barriers, the reward from spending time outdoors will be worth it. I’ve found that when outdoor time becomes family time, the benefits increase exponentially. 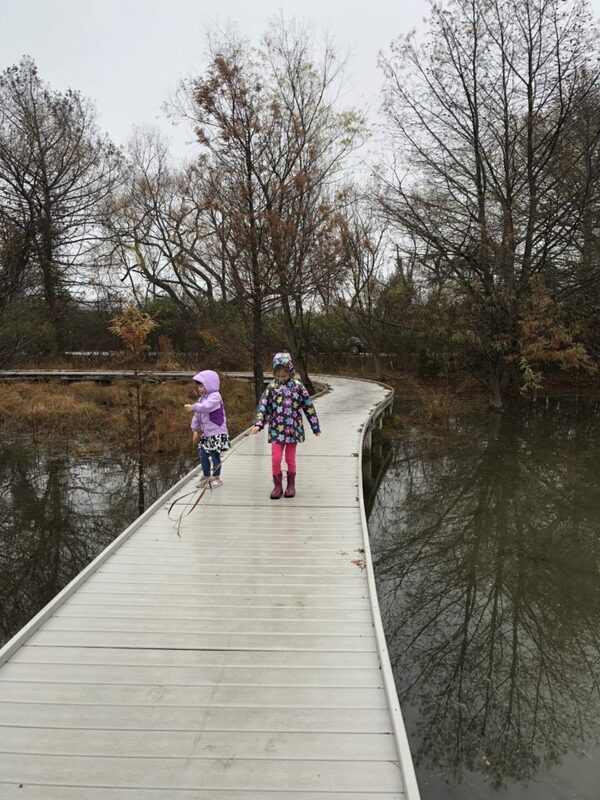 For the first few years of my oldest daughter’s life, spending time outdoors and in nature was the furthest thing from my mind. When I got pregnant, I read allll the baby books and read allll the blogs about what to expect when expecting and how to care for a baby. I could be wrong, but I don’t ever remember reading that I should take my baby outside for fresh air. Sure, we went to the park for playdates for an hour and a half once a week, and occasionally sat outside on our back patio in the evenings. But I’m naturally inclined to be an indoor girl, and spending most of our days in the air conditioning was perfectly fine with me. Meanwhile, my youngest was born in late November 2016. By about 6 weeks old, she was spending several hours a day outside (even in winter, which is mild where we live). She napped outside several times a week and enjoyed hiking and outdoor adventures almost every day. The change didn’t happen overnight. It took a commitment and intentional decisions guided by our family values. We made a conscious decision to establish a family culture that values time spent outdoors, and the results are nothing short of amazing. 1. Go outside every day. We live in Texas where temperatures and the weather is pretty mild for much of the year. We have had snow days in the winter, and we often top 100 degrees in the summer. But even on the most extreme days, with the right clothing we can carve out at least an hour to spend outside. If you live somewhere with more extreme whether, that might keep you indoors more. But don’t let that be an excuse! 2. Do everyday things outside. One of the easiest ways to find time to spend outside is to move something you typically do inside to the outdoors. Breakfast, lunch, snacks, and afternoon tea are all even more enjoyable outside for much of the year in many places. Read aloud, do arts and crafts, listen to music, fold laundry, take a nap- think of anything you would normally do inside and move it outside! Spending time outdoors daily, and doing everyday things outside is essential for any family to reap the benefits of an outdoor life. Most of all, it’s being outside day-in and day-out that makes it a habit. But when it comes to invigorating the soul with nature, it’s outdoor adventures that keep us wanting more and more. Outdoor adventures can be a nature walk at local park, a swim at a nearby watering hole, or a camping trip with friends. It can be a hike up a mountain, exploring a cave, or climbing a tree. The possibilities are endless. Outdoor adventure are worth investing time and effort into. Even a few hours’ drive is worth it to discover adventure waiting at your destination. Especially with young children, adventures require plenty of time, space, and of course nature. See more about how we create nature adventures here. 4. Create rhythms around nature. One of my biggest objections to spending time outside was that we didn’t have time. Especially if we wanted to spend time outdoors as a family, that meant using up valuable weekend time when my husband was home. In reality, spending time outdoors as a family isn’t taking away form anything. Then, it’s only adding value to our family time. I couldn’t imagine any better way to spend our time. We operate on a calendar of rhythms that is constantly in flux depending on the needs of our family. Basing some of these rhythms on nature is such a lovely way to feel connected to Earth and grounded in our family traditions. 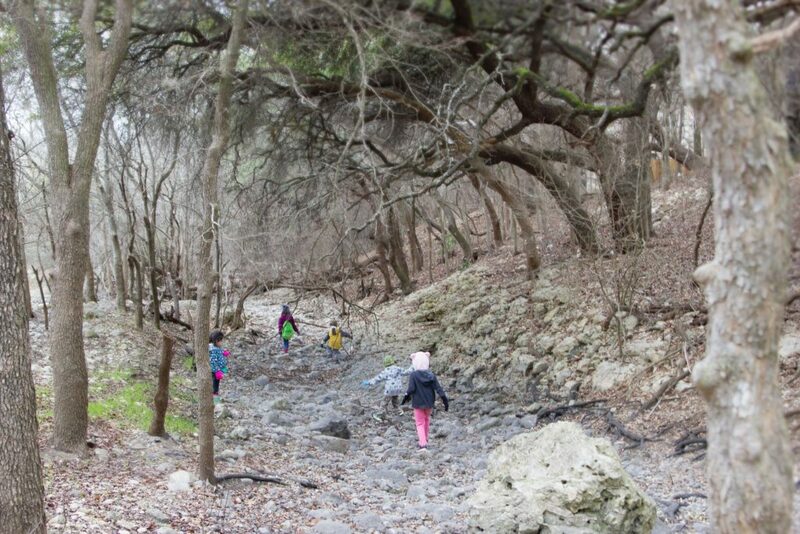 One of our favorite nature rhythms is a monthly full moon walk where our family goes for a night hike on our property. We also do Advent spiral walks to celebrate the coming of winter and Christmas, plant sunflowers to mark the beginning of Spring, and a bonfire for the start of summer. You might decide to take a family walk through your neighborhood every Sunday or drive to a state park every weekend for a day of fresh country air. You could feed the ducks at a local pond after church or go birdwatching at a nature preserve at the start of every season. 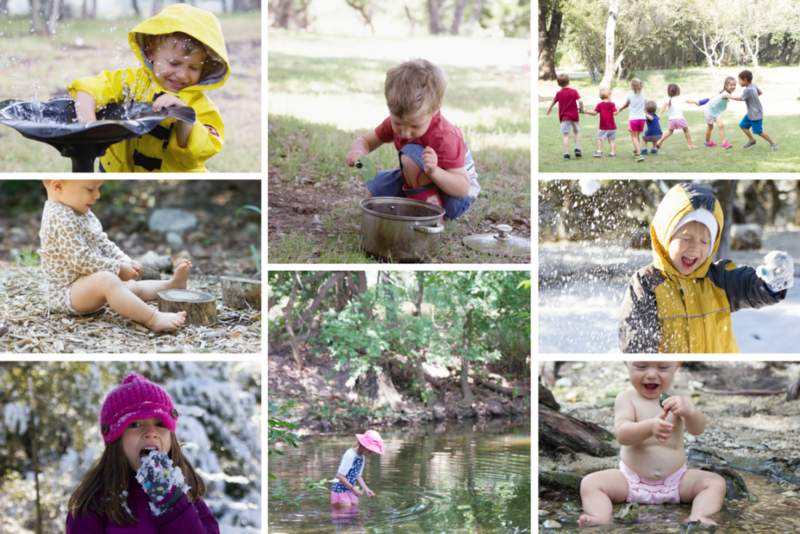 These simple ideas rooted in the natural rhythms of the changing world help our children feel connected and inspired by nature. Additionally, it’s the basis for developing a sense of wonder and curiosity that is crucial to raising a lifelong learner. Interested in learning more about how to spend more quality time outdoors with young children? Check out my new e-course! Lessons will include informative videos, worksheets, resource lists, and homework. One lesson will be released each week. 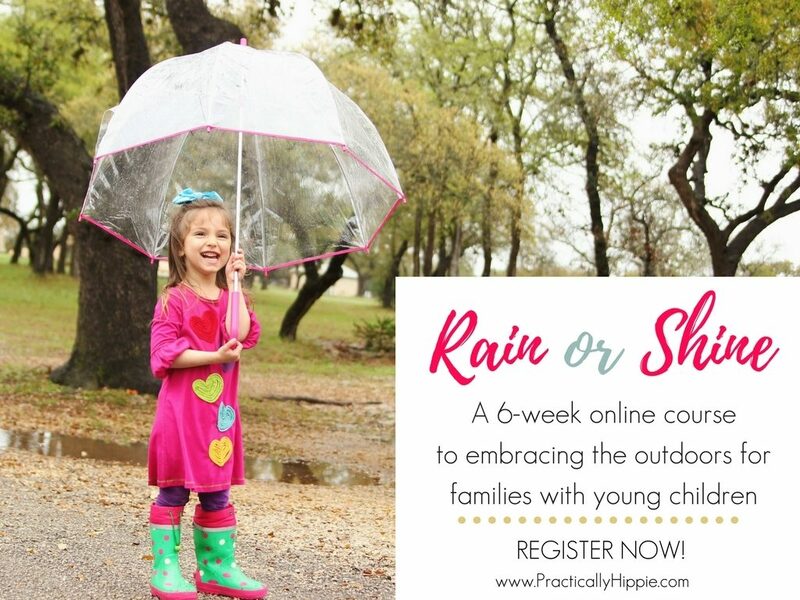 If you want to commit to spending more time outdoors this spring and summer- this Rain or Shine e-course is for you! Click here to watch the promo video. I totally agree that time in nature enhances family time and creates special memories! It sure does! thanks for reading! We’ve been trying to spend as much time as possible outside since winter ended and the rain has lessened. We had a very wet winter! 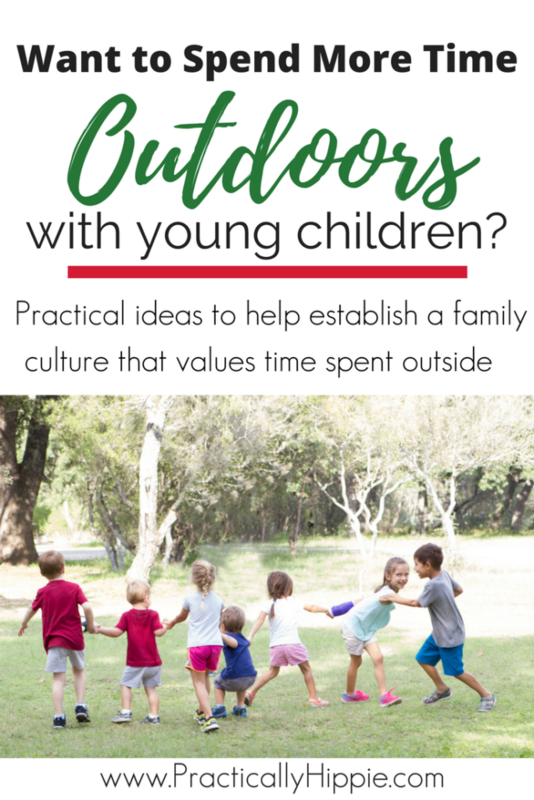 I like these ideas for getting outside more! Spring is the perfect time to get outside! Enjoy!